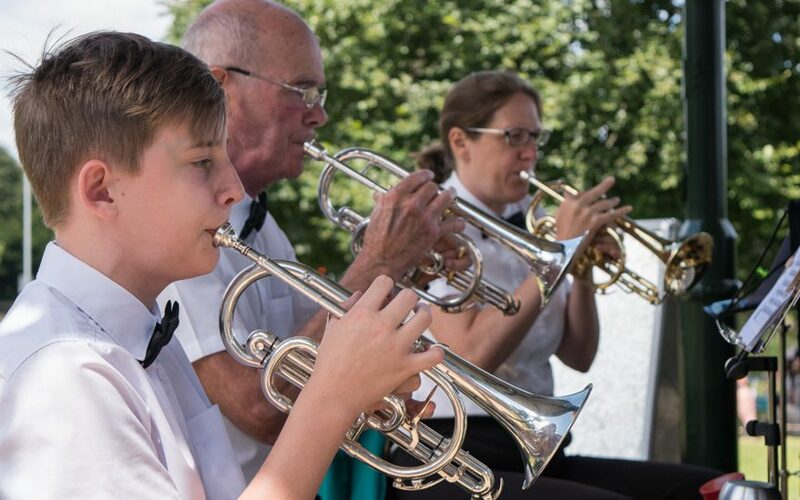 The band returns to the wonderful village of Church Crookham for their annual Summer Fete. The band will play at Victoria Day in Aldershot. Big and Brassy is back, with music from stage and screen. Find out when we will next be playing and how you can book tickets. 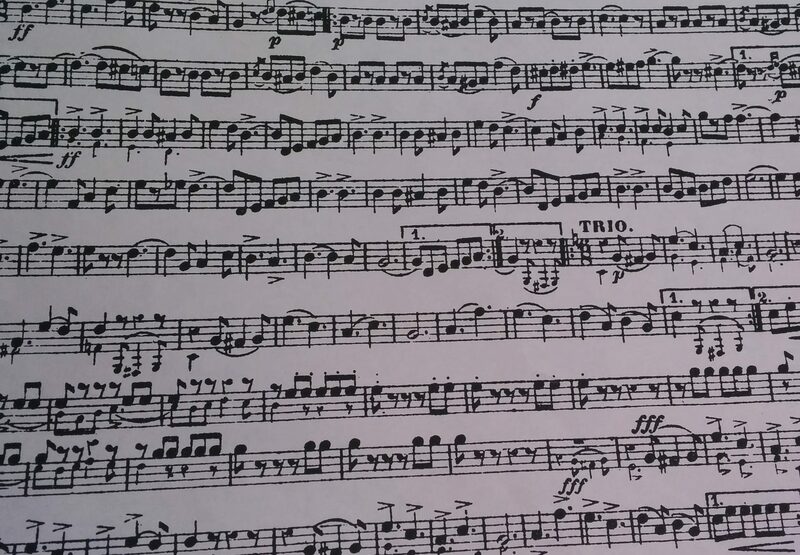 Read our blog and notes from the Musical Director. Get in touch or subscribe to our newsletter for all the latest information. The band is available for bookings and events. Contact us to find out more. 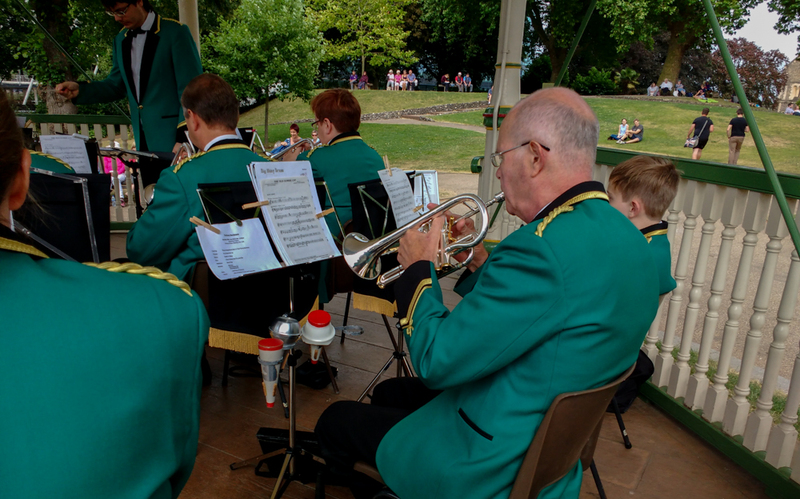 Camberley and District Silver Band is a friendly and ambitious fourth-section band based on the Surrey / Hampshire border. Since our founding in 1960 we have always maintained an active diary which continues to this day. You can find out where we are playing next, and order tickets online, by viewing our list of upcoming engagements. 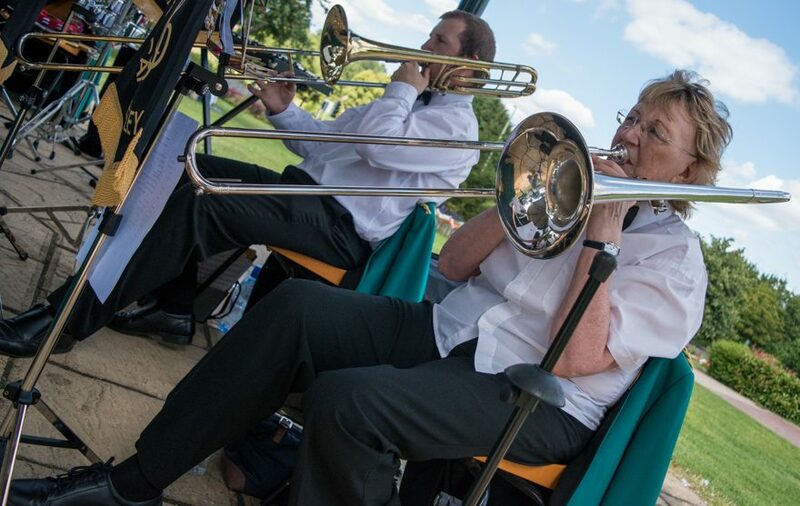 If you would like the band to play at your event, then we are available for bookings which you can find out more about here. 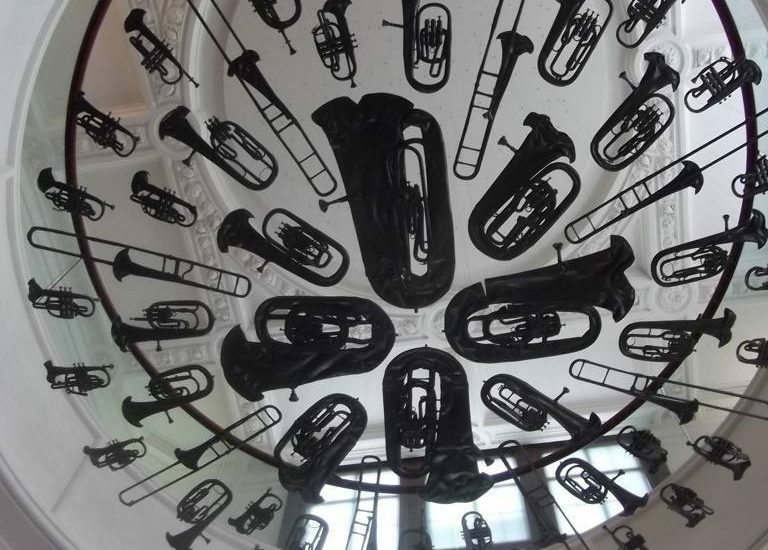 To find out a bit more about the band and its long history, you can delve into the history section of the site; for more recent updates, you can read the Band News or Two Bars of Two, our MD’s blog. We also have an extensive history of the band available online for you to learn more about the band over the years. We’re always out and about playing throughout the year. To keep up to date on all our latest news and ticket info, then sign up for our newsletter! Our concert bass drum has served us very well over the years, but now it’s time for a new home to make space for more brass instruments in our store cupboard. 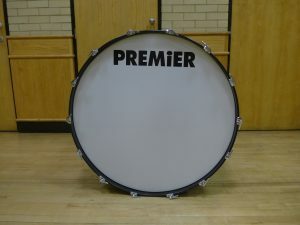 If you can make use of a concert bass drum, then please let us know. We have a small number of vacancies in the main band at the moment. You can find out more about membership and where to find us on this site – please get in touch if you would like to come along for a practice! 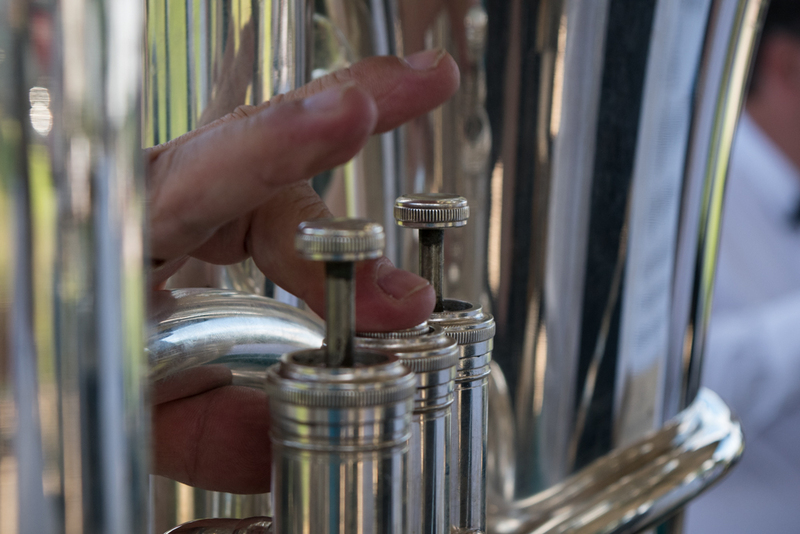 If you have never played before and would like to start (or perhaps you are looking to dust off your instrument) then our training band offers a friendly and relaxed environment in which to learn to play.